I don't know why, but I haven't been reading well lately. That isn't to say I'm having a hard time with the words or anything – it's something about my choices. I've been reading and enjoying a lot of non fiction, but the novels have been feeling a little meh. There hasn't been anything wrong with them, but they haven't grabbed me the way books usually do, and I'm not sure if that's because I've been distracted lately (work is crazy) of if it's the writing or some combination of the two, but it's frustrating. 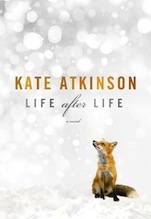 The one bright spot in all of this has been Life After Life, the new novel by Kate Atkinson. I actually read it a month ago while on holiday and, even though I love it, I hesitated to write about it in case my recent literary doldrums interfered. But I've kept thinking about it, and Atkinson is everywhere at the moment, so I to put it out there and see if it breaks whatever fiction-meh I've caught. The idea behind Life After Life is fairly simple: Ursula, born in England in 1910 (a year that makes keeping track of her age very simple) lives over and over again. That is, each time she dies, she is brought back at some pivotal moment before her death, and given a chance to do it again. For example, as a child at the beach, she and her older sister go wading in the water and are caught by a wave; they drown, but then a few paragraphs later they're saved by a man who was painting farther up the beach; at yet another return, Ursula has a bad feeling about the water and convinces her sister to build sandcastles instead. These deja vu feelings are basically all Ursula retains from life to life – although she gets a seemingly endless number of do-overs, she doesn't have the luxury of knowing what mistakes led to her death (or even that she died), just a feeling that she shouldn't be somewhere or do something. Furthermore, she does actually have die in order to get a do over, which is to say, sometimes excruciatingly bad things happen to her and the storyline continues and, because she doesn't know that death won't be permanent, she has no choice but just to continue. Of course, not every do-over is successful. It takes Ursula several attempts to survive the Spanish influenza epidemic after the First World War, for example. This leads to a lot of repetitive story telling, which in short bursts can be a little much, but later on can prove immensely satisfying as you watch for the small changes that will affect the outcome 10 or 20 years down the road. It's an unusual way to get to know a character, since you get to see how she will react to various situations and also realize that, whether X happens or not, she sometimes ends up in the same place. For anyone who has wondered what if I hadn't/had done that? Where would I be now? Atkinson has done some of that thinking for you. I'm not sure it should be called time travel, since that suggests an agency that Ursula doesn't have (how are the pivotal life moments decided, and by whom, are never explained), but I think this continuous cycle of life and death and sometimes literal rebirth would be tedious if it weren't for the time Atkinson chose to set her novel in. Nearly half the book is set during the Second World War and much of it during the Battle of Britain. Ursula's roles vary, but Atkinson's look at wartime London (and elsewhere) is gripping. Ursula's multiple experiences of the war, furthermore, allow Atkinson to explore various aspects of wartime life, which bring a richness to the experience of reading it. I feel like I've read a lot books (both fiction and non-fiction) about the war recently, but Ursula's was a unique perspective. Life After Life is a perfect escapist novel. It's the kind of book you both want to keep to yourself and talk about with everyone. I will admit that sometimes I just hoped Ursula would die so she could get out of some situation or another, but Atkinson is tough on both her readers and her character, and no one gets off the hook that easily. 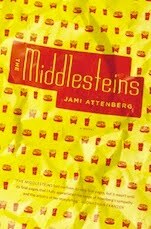 It's a proper literary page-turner, and I'm not sure I've ever read anything quite like it.